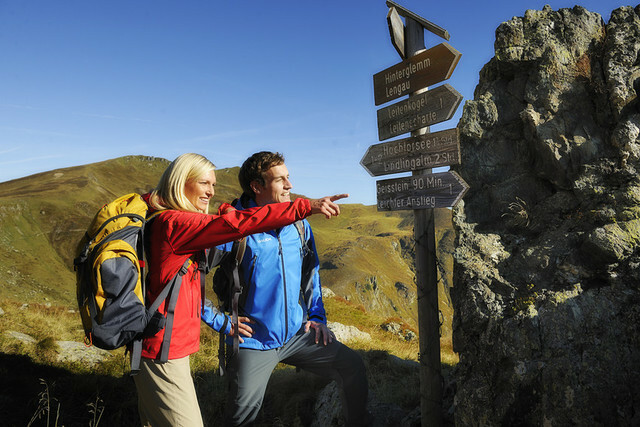 In the summer, Saalbach Hinterglemm in Salzburger Land transforms into the Valley of Games, full of all sorts: children’s games, nature games, water games, knowledge games, and sports. You’ll find everything here. Kids can make a visit to Montelino, the clown on the Kohlmais and help him find his playthings and friends, and getting him to smile again. You can be right in the thick of it at Montelino’s animal feeding at the Panoramaalm, feeding the forest animals of Saalbach Hinterglemm. The magic Kodok Mountain on the Reiterkogel has various adventures in store. The evil goblin Kodok has stolen the clown’s hat, and is getting up to all sorts of mischief on the mountain. Now it’s up to the children to test their skills and win back the hat for the clown. To get rid of this horrid goblin for good from the Reiterkogel, the children have to go searching for magic crystals in which the goblin has stored his magic power. On the Expedition Kodok, children have all sorts of adventures using a treasure map or a GPS unit and follow the clues to find where the magic crystals are hidden. At the end of the valley in Saalbach Hinterglemm, there’s all sorts of action and fun on offer. 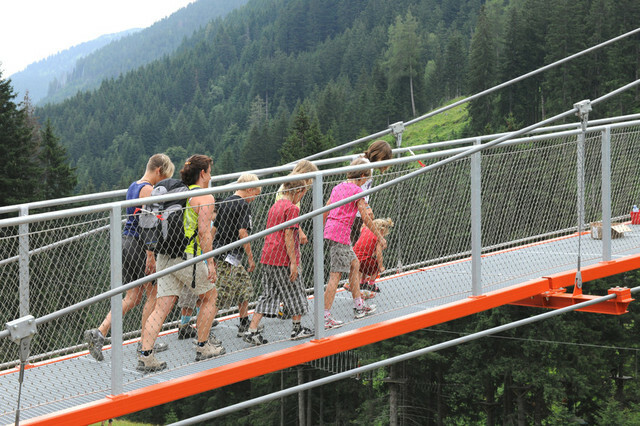 Cross the Golden Gate Bridge of the Alps, and get to the Treetop path, the highest of its kind in Europe. 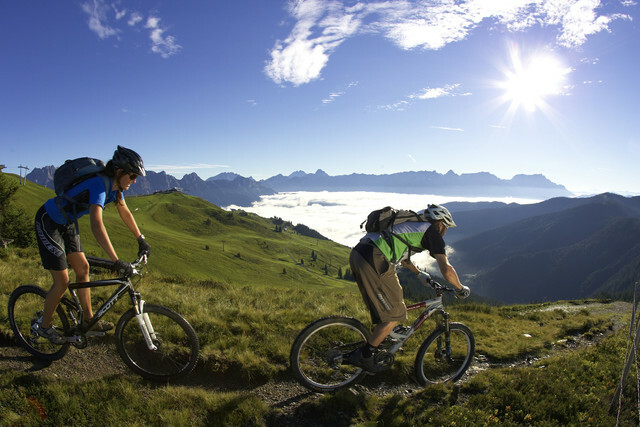 There you can enjoy a fantastic view of the mountains around Saalbach Hinterglemm. Get a real adrenaline kick in Austria’s highest high rope park with various zip wires and different levels of difficulty. There’s also another rope course for little climbers at the end of the Golden Gate Bridge. In Schnitza’s Wood park, everything’s about wood. There are fun games like pendulum skittles, competitions of skill such as a milking competition, milking the wooden cow Resl, or panning for gold in the Edelsteinteich pool. If you fancy cooling off on a hot summer’s day, you can let off steam in the magic Devil's Water. There are rock pools, Kneipp basins, splashing mill wheels, and plenty more to give you the refreshment that you’re after!